What do the Real Housewives of Orange County have in common with Madonna? They love Intraceuticals, a. k. a. their now-famous oxygen facial popularized by the Material Girl. It uses something called “hyperbaric oxygen technology,” which, as near as we can tell, means an oxygen bubble created between the skin and the treatment wand, which simultaneously delivers a serum to the skin. The instant effects, no recovery time and promise of results lasting up to five days also make it tops with brides and Hollywood stars. 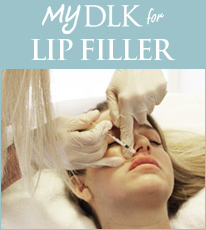 And, last week, I visited DLK on Avenue in Toronto to check out the Rejuvenation Infusion, a cocktail of oxygen, vitamins, green tea and hyaluronic acid at $250 a pop. Dr. Lisa Kellett’s clinic is one of just a handful in Canada authorized to administer the treatments (see Intraceuticals.com for others). A half-hour later, my skin felt plumped and, yes, visibly radiant; within an hour, two acquaintances had uncharacteristically paid me compliments, and there were more where those came from. A girl could be-come addicted to this!